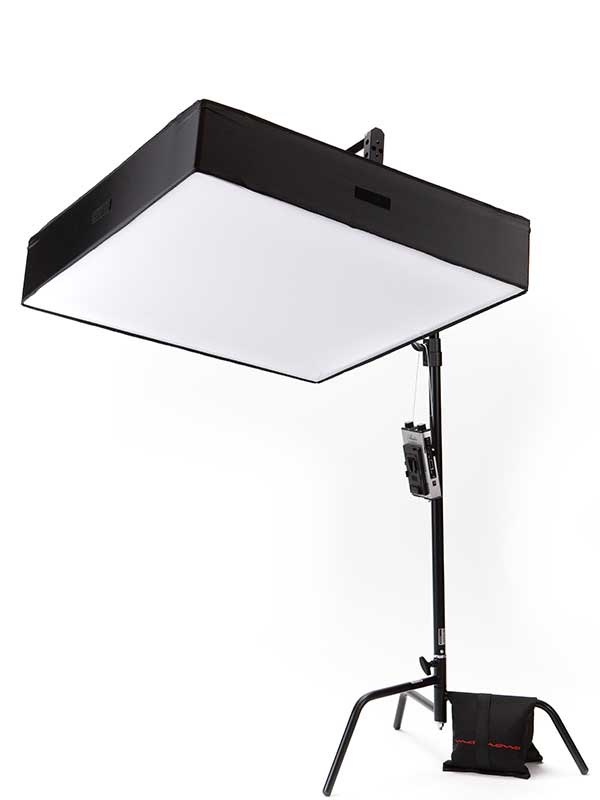 The Aladdin Fabric-Lite is a completely lightweight, flexible, and foldable 3×3 foot cloth of light. The fixture is Bi-Color and the color temperature can be adjusted from 2900K to 6300K. 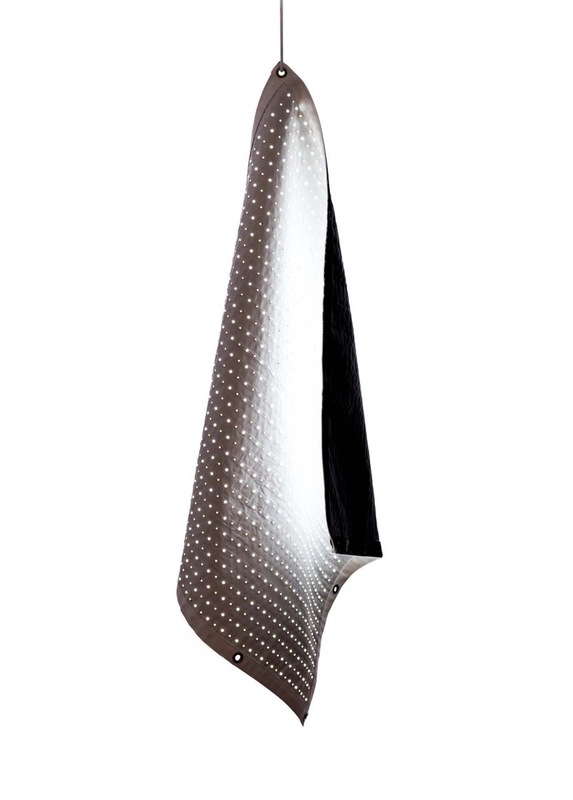 The Fabric-Lite is incredibly portable and can be folded up for easy transport. Mounting options for the Fabric-Lite are only limited to your imagination, but a frame with grid and diffuser is provided for using the Fabric-Lite as a more traditional, but still compact soft source. The 350 watt light may be powered by AC or a pair of Anton Bauer gold mount batteries. You can control the light wirelessly by Lumen Radio or via wired DMX512. The light has a high TLCI of 97 for very accurate color rendering.